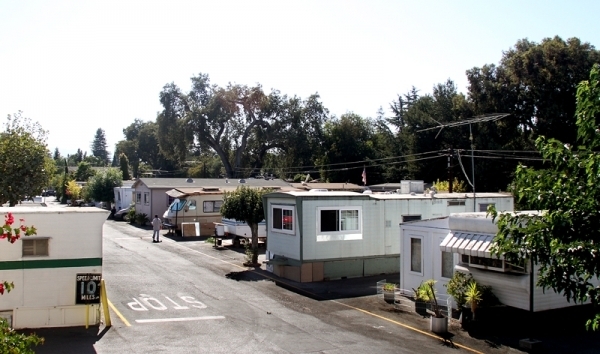 The study, which was published Monday, was completed during a period of deep uncertainty for residents of Palo Alto’s sole mobile-home park. In 2012, the Jisser family, which owns Buena Vista, announced its plans to close the park and convert the site to a luxury-apartment complex. Since then, attorneys for the family have been completing a “relocation impact report,” which includes proposals to compensate Buena Vista residents who would lose their homes. After about two years of revisions and amendments, Palo Alto finally decreed last month that the report is complete. The report will next be evaluated by the city’s hearing officer, Craig Labadie, who will determine whether the Jisser family complied with the park-closure ordinance. The compensation offered in the Jissers’ latest relocation report includes “startup costs” for each Buena Vista family, based on the types of housing the residents would be relocating to. This includes rent for the first and last month, a security deposit and 12 months of rent subsidies that would cover the gap between what residents pay at Buena Vista and what they would have to pay in their new locations. For one-bedroom apartments, the compensation would range from $12,000 to $16,300; for three-bedroom apartments, it would range from $20,000 to $30,600. The new study by Barr and Padilla focuses exclusively on the children of Buena Vista and aims to illuminate one of the overarching questions looming over the park’s closure: What is the value of living in Palo Alto? Though a concrete answer is impossible to quantify, the Stanford study indicates that residents of Buena Vista are virtually immune to the problems of inadequate health care and high drop-out rates experienced by Silicon Valley’s broader Hispanic population. The study determined that there are 129 children living in Buena Vista with an average age of 9.5 years. More than 90 percent of the families are Hispanic, with the largest ethnic group being Mexican-American. 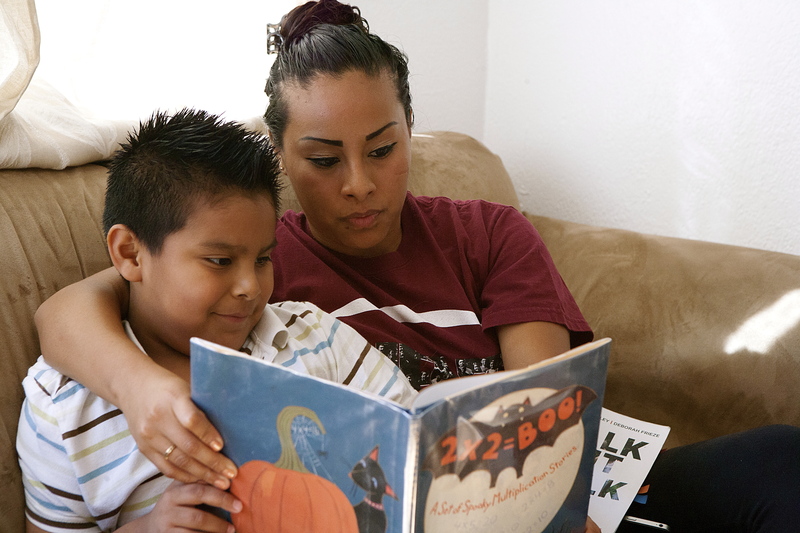 Of the 67 families with children, 52 (or 78 percent) requested that the survey be administered in Spanish. Of the 129 children, 101 are currently enrolled in Palo Alto schools, which includes 36 in Barron Park Elementary School; 19 in Terman Middle School and 28 in Gunn High School (along with one in Palo Alto High School, one in Alta Vista High School and one in Beacon School). Four others attend college. “This is in contrast to the high school drop out rate of 29.3 percent among the Hispanic high school students living in Silicon Valley, and 26.7 percent among Hispanic students statewide,” the authors wrote, citing a 2011 report by the Hispanic Foundation of Silicon Valley. “Generally, parents were very happy and appreciative of the education that their children were getting in Palo Alto,” the report states. When it comes to access to medical care, Buena Vista residents also defy the norm. A 2009 study by the UCLA Center for Health Policy Research found that children of Mexican immigrants are “three times more likely than children of U.S. born whites to have no usual place to obtain regular medical care” (13.8 percent versus 3.9 percent). At Buena Vista, 97 percent of the families with children said that they had a usual source of medical care for their children. The largest plurality of the responders, 28 percent, said they used Stanford’s medical facilities (Stanford Hospitals and Clinics and the Lucile Packard Children’s Hospital). Others identified the Mayview Community Clinic (25 percent); Kaiser-Permanente (15 percent) and the Palo Alto Medical Foundation (13 percent) as their usual sources of care for their children. “Overall, these data suggest that medical care is generally quite available to the children in Buena Vista, despite the relatively low income of their parents,” the report states. Numbers were less positive when it came to dental care. Responses from Buena Vista residents indicated that 80 percent of the families couldn’t afford to pay for their children’s needed dental care. The survey also found that one third of the children have not visited a dentist in the past 24 months. Barr, who summarized the study’s findings at Monday’s council meeting, said the study was prompted by his and Padilla’s realization that very little is known about the children of Buena Vista, a community that rarely made headlines before the proposed closure. The study alludes to the “scarcity of accurate information about the individuals and families who live there.” This prompted the Stanford professors and their graduate students to ask: Who are they? “The children of Buena Vista — all 129 of them — are getting substantial benefits from living in a community such as Palo Alto with the facilities and amenities such as the school district and the medical care facilities that are a tremendous benefit and resource to them,” Barr told the council Monday.